The following terms and conditions shall apply to all transactions and agreements between Hillphoenix Parts, a brand of Hillphoenix, Inc. (“Hillphoenix Parts”) and the other party to such transaction or agreement (“Buyer”) with respect to the purchase of any goods from Hillphoenix Parts and/or the extension of credit by Hillphoenix Parts to Buyer for such purchase. 1. PRICE Prices shown on the face of the sales invoice are F.O.B. the place of shipment as designated by Hillphoenix Parts, packaged for shipment and subject to change without notice. There shall be added to all payments hereunder amounts equal to any applicable taxes levied or based on this agreement (unless Buyer provides Hillphoenix Parts with appropriate exemption certificates); exclusive of taxes based on Hillphoenix Parts’ net income. 2. TERMS OF CREDIT. All credit terms are net 30 days from date of invoice. Any deductions from the net invoice amount must be approved by a representative of Hillphoenix Parts authorized to make such changes. If credit is extended to Buyer, Hillphoenix Parts reserves the right to revoke such credit if Buyer fails to make timely payment for any goods delivered. Hillphoenix Parts reserves the right to require payment or other assurances which it deems necessary prior to the shipment of any goods, if, in Hillphoenix Parts’ opinion, exercised in Hillphoenix Parts’ subjective, good faith judgment, the Buyer’s financial condition has deteriorated or the risk of non-payment has otherwise increased. Credit is subject to approval upon receipt of completed credit application. Goods may not be returned for credit unless prior authorization and an authorization number have been granted by Hillphoenix Parts. A 1½% per month charge will be assessed on past due amounts. Buyer is liable to pay Hillphoenix Parts for any and all expenses Hillphoenix Parts may incur, including reasonable attorneys’ fees, in taking action to collect any amounts due Hillphoenix Parts hereunder. 3. SHIPMENT OF GOODS / RETURN OF GOODS. Every effort will be made to ship the goods on the scheduled shipment date and to maintain production schedules consistent therewith provided however, Hillphoenix Parts shall not be liable for any claims or consequential damages arising from the failure to meet any scheduled shipping dates. If Buyer refuses shipment of any standard catalog products under an acknowledged order and those products are consistent with that order and are not delivered damaged or defective, then Buyer will be responsible for (i) return shipment of the products to Hillphoenix Parts in original shipping containers; (ii) return freight to Hillphoenix Parts prepaid by Buyer; and (iii) a restocking charge to be determined by Hillphoenix Parts of not less than twenty-five percent (25%) of the sales price. Buyer assumes the risk of any return shipment damage or loss, the cost of which will be assessed by Hillphoenix Parts and added to the restocking charge. New and used parts sold by Hillphoenix parts can be returned no later than 90 days from the date of purchase, and are subject to a restocking fee of not less than twenty-five percent (25%) of the sales price. No custom, fabricated or painted products of catalog items may be returned to Hillphoenix Parts for credit unless those products are not consistent with an acknowledged order or they are defective. If they are defective, Hillphoenix Parts reserves the right to cure the defect at the ship-to location. Costs for special packaging and/or handling requested by Buyer will be billed to Buyer. Shipping terms are specified on the face of Hillphoenix Parts’ quotation and/or price list, as applicable. Unless otherwise specified by Buyer in writing, Hillphoenix Parts shall select the method of shipment and direct shipment of materials to the specified delivery address of Buyer. In the event of any general freight increase or any governmental ruling or regulation that results in increased freight costs, Hillphoenix Parts may, without any advance notice, invoice Buyer for such additional costs. 4. RISK OF LOSS. Subject to security interests retained by Hillphoenix Parts until payment for the goods is received in full, the title to such goods and risk of loss or damages thereto pass to Buyer upon completion of loading of goods on carrier at Hillphoenix Parts’ factory. Buyer will unload shipments promptly and Buyer will be liable for any additional charges such as demurrage, storage, and labor incurred by its failure to do so. Any claims by Buyer for damages to the goods incurred during shipping shall be made to the carrier. 5. WARRANTIES. The products which Hillphoenix Parts manufacture are warranted to: (i) be free from defects in materials and workmanship; and (ii) perform in all material respects in accordance with applicable refrigeration standards as of the date of manufacture for a period of 12 months from the date and place of shipment, provided that the installation and maintenance of such products have been performed strictly in accordance with Hillphoenix Parts’ designated specifications (the “Warranty”). The 12 month warranty shall not apply (i) to any unit or any part thereof which has been subject to accident, alteration, negligence, misuse or abuse, operation on improper voltage, or which has not been operated in accordance with the manufacturer’s recommendation, or if the serial number on the unit has been altered, defaced or removed; (ii) when the unit, or any part thereof, is damaged by fire, flood, or other act of God; (iii) outside the continental United States; (iv) to labor costs for replacement of parts, or for freight, shipping expenses, sales tax or upgrading. A new or rebuilt part to replace any defective part will be provided without charge, provided the defective part is returned to Hillphoenix Parts. The replacement part assumes the unused portion of the warranty. This warranty does not include labor or other costs incurred for repairing, removing, installing, servicing, or handling of either defective parts or replacement parts. The extent of Hillphoenix Parts’ liability under the Warranty is limited to the repair or replacement, at Hillphoenix Parts’ option, of any non-conforming products without charge. Hillphoenix Parts shall not be liable under any circumstances for any consequential damages, including loss of profit, additional labor costs, loss of refrigerant or food products, or injury to personnel or property caused by defective material or parts or for any delay in its performance hereunder due to causes beyond its control. The foregoing shall constitute the sole and exclusive remedy of any purchases and the sole and exclusive liability of Hillphoenix Parts in connection with this product. Hillphoenix Parts is not liable for repairing or replacing parts manufactured by other vendors. For non-Hillphoenix manufactured parts, the Buyer is responsible for making claims on a defective product through the respective product manufacturer. However, Hillphoenix Parts offers extended vendor warranties on select parts. Select extended warranties cover only the cost of the part repair. Select extended warranties do not cover the cost of freight, shipping expenses, labor costs, or other expenses. In order to submit a warranty request, the buyer must provide Hillphoenix Parts with a Purchase Order Number (PO) or the Hillphoenix order number from the original purchase. Buyer needs to also have case serial number and model number when ordering a replacement part for a Hillphoenix case under warranty. Hillphoenix Parts reserves the right to change its warranty provisions at its sole discretion at any time with or without prior notification of such change. HILLPHOENIX PARTS MAKES NO OTHER WARRANTIES, EXPRESS OR IMPLIED, TO BUYER, ITS CUSTOMERS OR ANY USERS OF THE PRODUCT EXCEPT AS HEREIN STATED, AND HILLPHOENIX PARTS EXPRESSLY DISCLAIMS AND EXCLUDES ALL WARRANTIES WHETHER STATUTORY, EXPRESS OR IMPLIED, INCLUDING ALL WARRANTIES WHICH, BUT FOR THIS PROVISION, MIGHT ARISE FROM COURSE OF DEALING, CUSTOM OR TRADE AND INCLUDING, BUT NOT LIMITED TO, THE IMPLIED WARRANTIES OF MERCHANTABILITY OF THE PRODUCTS, FITNESS FOR ANY PARTICULAR USE OR PURPOSE AND NON-INFRINGEMENT. No Warranty for Non-Standard Products. A “Non-Standard Product” is any product that is different in any manner from any Hillphoenix Parts product that has been previously designed and manufactured by Hillphoenix Parts in accordance with its standard specifications. A Non-Standard Product also includes any standard Hillphoenix Parts product that has been specially designed or modified to meet a particular Buyer specification, or that contains any additional or substituted product, part, accessory, equipment, fixture, component or material, or that has been assembled, manufactured, produced, or installed by any method or process, which is different from Hillphoenix Parts’ standard specifications for such product. Hillphoenix Parts expressly disclaims and make no warranties, express or implied, as to the condition, design, utility, quality, adequacy, or capacity with respect to any standard or Non-Standard Product, including, without limitation, any warranty of merchantability or fitness of such product for a particular purpose or intended use, whether or not such product has been designated by Hillphoenix Parts as a Non-Standard Product. use or operation, or any other equipment or property of Buyer caused by or alleged to be caused by any such product or its use or operation, whether directly, indirectly, incidentally or consequentially, or by any inadequacy thereof or deficiency or defect therein. The foregoing exclusion of warranty cannot be modified or waived except as expressly set forth in a writing signed by an officer of Hillphoenix Parts authorized to make such modification or waiver. HILLPHOENIX PARTS SHALL NOT BE RESPONSIBLE FOR INDIRECT, SPECIAL, INCIDENTAL, CONSEQUENTIAL OR PUNITIVE DAMAGES INCLUDING BUT NOT LIMITED TO INJURY TO PERSONS OR PROPERTY, LOSS OF PROFITS, LOSS OF BUSINESS, LOSS OF USE, OR OTHER ECONOMIC LOSS. 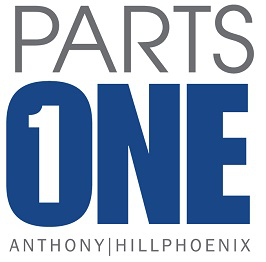 BUYER AGREES THAT HILLPHOENIX PARTS ENTIRE LIABILITY, AND BUYER’S EXCLUSIVE REMEDY, IN LAW AND EQUITY OR OTHERWISE, WITH RESPECT TO ANY WORK PERFORMED OR PROVIDED BY HILLPHOENIX PARTS UNDER THIS AGREEMENT IS SOLELY LIMITED TO THE AMOUNT PAID BY BUYER FOR THE PRODUCT TO WHICH THE APPLICABLE CLAIM RELATES. In no event shall Hillphoenix Parts BE LIABLE to BUYER FOR LOSSES the extent that a claim arises out of (i) any modification of PARTS OR ProductS other than by Hillphoenix Parts, (ii) any combination of the PARTS OR ProductS with materials not provided by Hillphoenix Parts, or (iII) Hillphoenix Parts’ compliance with BUYER’s Specifications. 6. ACCEPTANCE OF PRODUCTS BY BUYER/CLAIMS: Upon delivery, shipments must be inspected for damage, loss or shortage prior to acceptance from the carrier. If damage or shortage exists with respect to any shipment, Buyer shall secure a notation of such damage or shortage from the delivering agent on the freight bill or delivery receipt. Buyer must notify Hillphoenix Parts of shortage within forty-eight (48) hours of its delivery and hold the merchandise for its inspection. Any claims for visible loss or damage should be filed by Buyer with Hillphoenix Parts in writing immediately upon receipt of the materials. For claims of concealed damage, retain all packing materials, and submit written request to the carrier for inspection within fifteen (15) days of receipt of parts. All claims of Buyer that materials delivered do not conform to the accepted order shall be handled as claims for breach of warranty and Buyer shall be limited to those remedies available for breach of warranty. 7. CLAIMS BY BUYER. Hillphoenix Parts shall thereupon be afforded a reasonable opportunity to inspect the goods. All claims not made in the time period and manner specified above shall be deemed waived. All actions, claims or defenses by Buyer shall be deemed waived unless commenced or asserted within six (6) months of receipt of the goods. No claims for visible, external damage or shortage will be allowed unless they are accompanied by an inspection report or signed delivery receipt noting such loss or damage signed by a representative of the carrier and forwarded to the Hillphoenix Parts Claims Department within 48 hours of the delivery date. 8. EXPORT CONTROLS. Buyer acknowledges that all shipments by Hillphoenix Parts are or may be subject to restrictions and limitations imposed by United States export controls, trade regulations and trade sanctions. Buyer at all times will comply with such sanctions, controls and regulations and will cause compliance with such sanctions, controls and regulations in its use and disposition of products. With respect to each shipment pursuant to these terms and conditions, Buyer will obtain and supply to Hillphoenix Parts in writing all information required by Hillphoenix Parts to obtain any U.S. export license, permit, approval or documentation applicable to such shipment. Notwithstanding any contrary provision in these terms and conditions, Hillphoenix Parts will have no obligation to make any shipment to Buyer until it has received all such information and has obtained the applicable licenses, permits, approvals or documentation for shipment, if any. If Hillphoenix Parts learns, or has reasonable cause to believe, or if any branch or agency of the government of the United States claims, that a violation of any applicable trade sanctions, export controls or trade regulations has occurred or is likely to occur because of any shipment, Hillphoenix Parts may, in addition to any other remedy it may have, suspend all shipments to Buyer until: (a) Hillphoenix Parts is satisfied that such violation did not occur or has ceased to occur, or (b) such claim is withdrawn or otherwise resolved in favor of Hillphoenix Parts. Neither Buyer, not its employees, agents, subcontractors, officers or representatives, shall cause or permit any shipment of the products to be made by Buyer or by anyone acting on behalf of Buyer or to whom Buyer may sell the products, to any country for which a validated export license is required by the United States, or to which shipment is prohibited under trade regulations or trade sanctions of the United States. It shall be the duty of Buyer to inform itself in detail of such export controls, trade regulations and trade sanctions. Buyer will not cause or permit any Buyer reseller, customer or user in other parts of the world until all necessary import and/or export approvals and clearances have been obtained, and until all United States export controls, trade regulations or trade sanctions applicable to such shipments have been fully complied with. Buyer will indemnify and will hold Hillphoenix Parts harmless from and against any claim, loss or liability arising out of any breach of the foregoing covenants contained in this section. 9. CANCELLATION. Orders may not be canceled after receipt by Hillphoenix Parts unless Hillphoenix Parts consents in writing to such cancellation. Cancellation will be granted only on terms indemnifying Hillphoenix Parts against any loss resulting from such action. At minimum, Buyer will be liable for all cost incurred on the order through the cancellation date. 10. CHANGES BY HILLPHOENIX PARTS. Hillphoenix Parts reserves the right to change design, colors pricing and specifications of any goods without notice to Buyer. 11.DEFAULT.If Buyer defaults or fails to pay on the purchase of any goods or if a petition in bankruptcy is filed by or against Buyer, Hillphoenix Parts, in addition to other remedies, may repossess any goods which were previously delivered and for which payment has not been received, and may refuse to make further shipment of goods. Buyer agrees to pay Hillphoenix Parts’ attorneys’ fees, costs and expenses incurred as a result of Buyers default or failure to pay, including but not limited to any collection or repossession expenses. 12. ENTIRE AGREEMENT AND AMENDMENT. The terms specified herein constitute the entire agreement between Hillphoenix Parts and Buyer with respect to the sale and purchase of the goods and any extension of credit. If Hillphoenix Parts and Buyer agree to amend or modify any terms and conditions specified herein, such amendment or modification must be expressly stated on the face of the sales invoice or by a written agreement duly executed by an officer of Hillphoenix Parts and the Buyer. The terms specified herein shall control in the event of any variance between these terms and any terms contained in Buyer’s purchase orders. 13. GOVERNING LAW. This purchase order, any agreements between Hillphoenix Parts and Buyer and all other claims that arise between the parties, whether sounding in contract or tort, shall be governed by, construed and enforced in accordance with the laws of the Commonwealth of Virginia. By entering into this purchase order and any other agreement with Hillphoenix Parts, Buyer consents to the jurisdiction of the courts of the Commonwealth of Virginia to determine all claims between the parties, regardless of whether said claims are contract claims, tort claims, patent claims, trademark claims or copyright claims. Venue of any lawsuit (State or Federal) against Hillphoenix Parts must be filed in Richmond, Virginia. Service of process on Buyer may be made by registered mail addressed to the Buyer. 14. SEVERABILITY. If any provision of the terms and conditions specified herein shall be deemed invalid or unenforceable, the remaining terms and conditions shall be construed as though such provision does not appear herein and shall be otherwise fully enforceable. 15. HEADINGS. The section headings contained herein have been inserted for convenient reference and shall not be considered in any questions of interpretation or construction of any agreements between Hillphoenix Parts and Buyer.